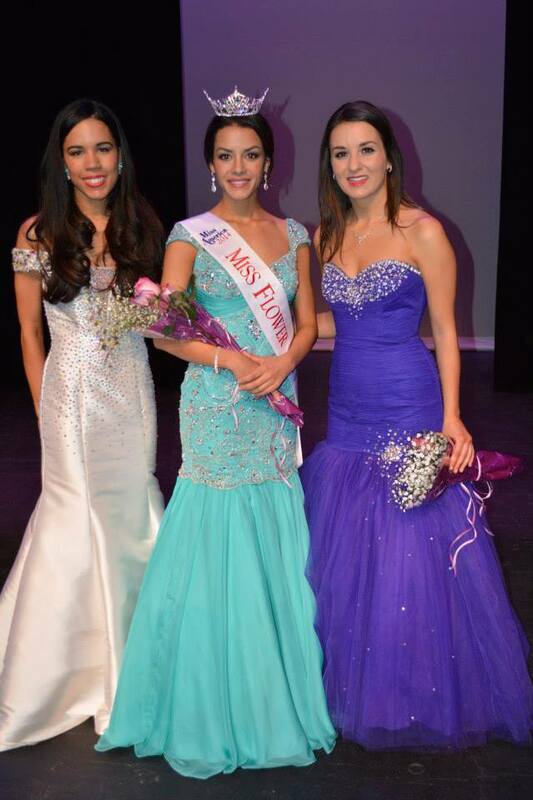 The main pageant season has officially started with the 2014 Miss Flower City Pageant! Miss Greater Rochester dissolved after Nina Davuluri on in 2012, however the greater Rochester area wanted a local pageant! Thankfully, a local couple decided to form Miss Flower City, and provide a girl from Western New York the opportunity to represent at Miss New York. Five ladies from as far West as Buffalo and far south as Westchester competed for the crown on January 4th, at the Hart Theater in the JCC in Rochester. I decided during interview that I would not cover my tattoos. A judge asked me about which movie I had seen the most. I told them REPO: The Genetic Opera, and then explained the quote on my back. The judge said he knew the movie, so that may have worked out in my favor. There were only five girls competing. Either they were going to like me or they weren’t, and my tattoos were not going to be the deciding factor. It was so much less stressful trying to match the color and make the same reflective qualities. People actually cheered for me. I’m glad I didnt. I decided to perform to Mandisa’s Overcomer. I choreographed a little performance, and thought I did ok. Except too much of it was with strange facials. I pretended to trip at one point, and after the fact people told me they thought it was an accident. I wasn’t impressed at all. I wore my gown from Thousand Islands! I had originally planned to return it, but apparently my mother forgot! I still haven’t removed the tags though. Perhaps I will sell it at a later time. This pageant had an exciting new twist to the onstage question. Each girl chose two questions to answer. My first question was asked by Cady Ruth, Flower City’s Outstanding Teen. French Fries or Ice Cream. My instinctual response was “Well right now I’m on my period, so I could really go for some French Fries.” Thankfully I mentioned my addiction for ice cream instead, and mentioned how dipping French Fries in Ice cream is a perfect combination of salty and sweet. My second question was from Krista, New York’s Outstanding Teen. Which female outside of my family is my biggest rolemodel. I said that I have always wanted to fly, and for that reason I wanted to be like Amelia Earhart. Also she was a strong, independent woman who didn’t let the gender roles hold her back. While waiting for the tabulation to be finished, the emcees called us back on stage. It was taking too long she they gave us an opportunity to ask Georgie some questions. Being socially impaired, I made a joke. What did the first say when it swam into the side of the bow? Finally the auditors were finished and the envelopes were brought out. Miracle Maker: Me! I raised the most money (so far) for the Children’s Miracle Network! If you would like to follow Anneliese on her journey to Miss New York, please visit her Official Facebook Page!